6 August 1945 – USAAF B-29 bomber “Enola Gay” drops an atomic weapon on the Japanese city of Hiroshima. 9 Aug – USAAF B-29 bomber “Bockscar” drops a 2nd atomic weapon on the Japanese city of Nagasaki. On the same day, Lt Robert Hampton Grey RCN (1841 Sqn, HMS FORMIDABLE) is killed in an attack on Japanese shipping. He is awarded the VC for his actions. 13 Aug - An engagement on this day by Seafires of 887 and 894 Sqns, escorting Avengers of 820 Sqn, is the final British aerial victory of WW2. Just as the first confirmed British air victory of the war (by a Skua of 803 Sqn) had fallen to the Fleet Air Arm, so does the last. 14 Aug – All Allied operations against Japan are paused: The Japanese Army attempts to seize control and prevent surrender, but is defeated by forces loyal to the Emperor. 15 Aug - US Navy Lt. Cdr. T.H. Reidy, commander of VBF 83 and flying a Vought F4U Corsair, records the last confirmed US air-to-air victory of World War II, destroying a Nakajima C6N1 Saiun reconnaissance aircraft at 5:40 a.m. local time over Tokyo. Five minutes later, World War 2 ends, as Emperor Hirohito broadcasts an order of unconditional surrender, directing all Japanese Imperial forces to stop fighting. 30 Aug 1945– The Royal Navy re-enters Hong Kong . 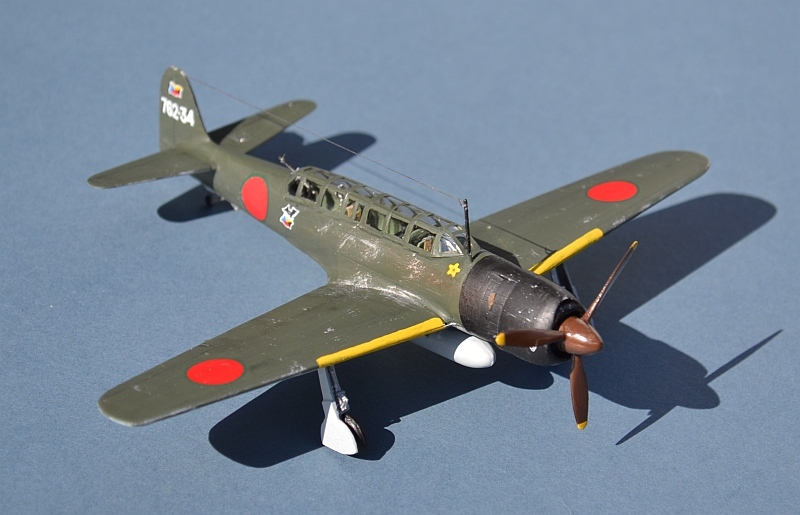 Entering Service in September 1944, the Myrt was a very fast 3-man reconnaissance aircraft used widely by the Imperial Japanese Navy, with a top speed allowing it to outrun the majority of allied fighters. Although designed as a carrier based aircraft, by the time it entered service most of the IJN’s carriers had been sunk and as a result it was mainly operated from land bases. Over 460 Myrts were built, including night fighter versions armed with oblique mounted 30mm guns in place of the centrally seated observer. On 15 Aug 1945, a Myrt that was shadowing the Allied Fleet became the last aircraft to be shot down during WW2 (although there were several further engagements after the official cease-fire), falling to an F4U Corsair of the US Navy. Sword is a relatively new and small manufacturer based in the Czech Republic. 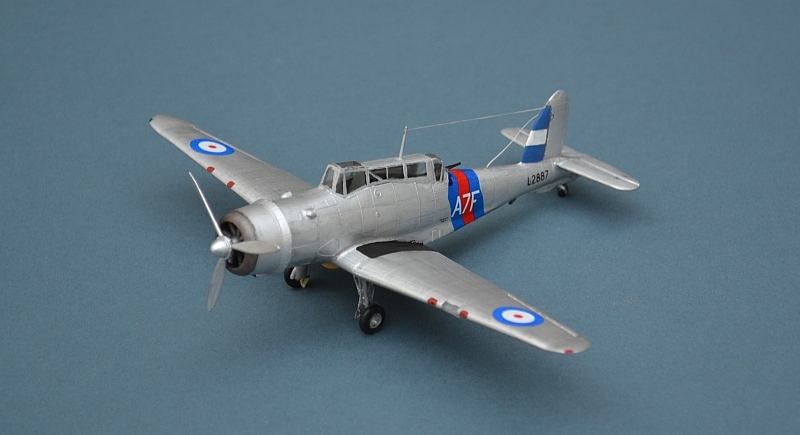 I have now built several of their kits and whilst they can sometimes be difficult to assemble, I have generally been impressed and pleased with all of them. This is a recent issue and continues to show ever improving quality and buildability. The kit is well thought out, with nicely restrained surface detail and including a well equipped cockpit. 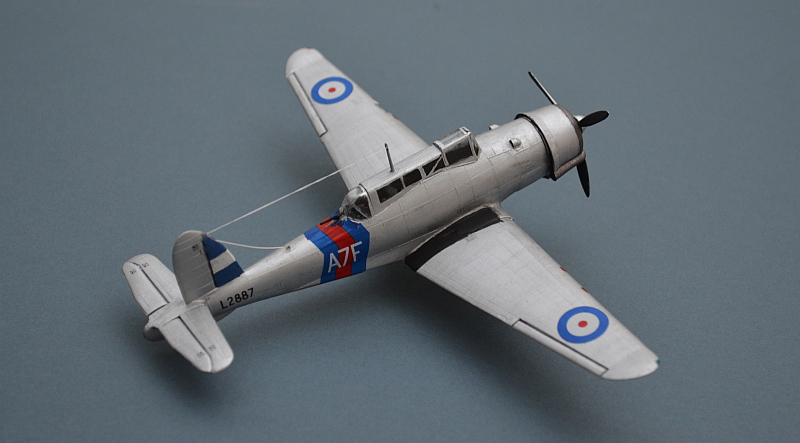 Moulded in Sword’s distinctive soft dark grey plastic, parts fit is a little hit or miss, especially around the join of the fuselage halves, but the moulding is crisp and flash-free, such that a little care in assembly and a smear of filler is all that is needed. 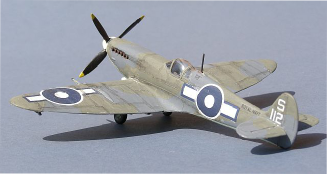 Decals give a wide choice of subjects, including this “slightly more colourful than usual” aircraft from early 1945. Designed as a multi-purpose Dive Bomber and Fighter, the Skua formed the mainstay of the Royal Navy’s fighter force in 1939. Entering Service in 1937, the “Jack of All Trades” Skua was not a huge success against the advanced land-based fighter aircraft of the Luftwaffe, yet it holds a number of important “firsts”, including its place as the first Fleet Air Arm all-metal monoplane, first British dive bomber, first aircraft to sink a battleship in combat and also scored the very first confirmed British air to air kill of WW2, when a Skua of 803 Naval Air Sqn, flown by Lt BS McEwen, accompanied by TAG PO BM Seymour, shot down a German Dornier Do-18 seaplane over the North Sea. Perhaps most famous for their efforts during the Norwegian campaign, and against the French Vichy fleet in the Mediterranean, Skuas also provided much of the woefully thin air support over the beaches of Dunkirk following the early withdrawal of the main RAF force from the Battle of France to defend the UK during the Battle of Britain. Note: whilst the 803 Sqn Skua’s victory in September 1939 was definitely the first confirmed British kill of WW2, an unconfirmed earlier claim by Sgt F.A. Letchford, a gunner in a Fairey Battle of 88 Sqn was later credited by the RAF as the first, after corroboration by French ground troops,. However, as there is no record of any German losses during that engagement, it remains disputed. My assertion that the Skua’s kill was the first is in no way intended to detract from the remarkable courage and skill of Sgt Letchford. 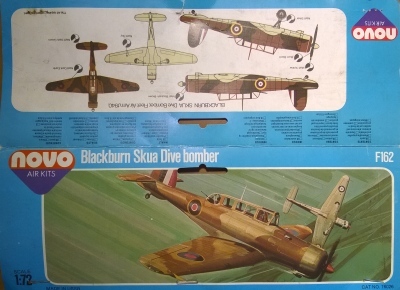 Finishing off my WW2 70th anniversaries project, this is an early Novo issue of the old FROG Skua kit, first issued in 1965. 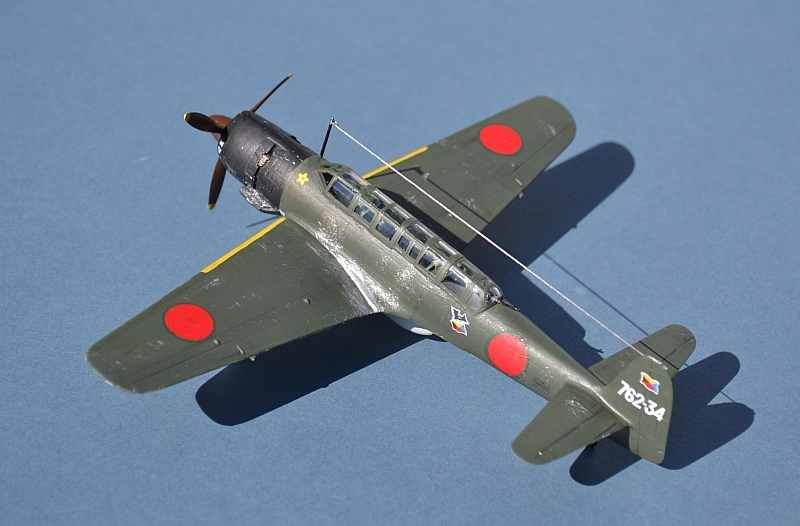 It is a very basic kit, far eclipsed by the more modern limited run offerings from Pavla and Special Hobby, with a number of glaring shape and detail issues. Nevertheless for many decades this was the only option on the market and it builds well, with generally good fit; with a little work it can still look the part. For this one I added a little cockpit and wheel well detail, as well as fitting a suitable bomb and scratch built ejector arrangement in the (missing) bomb recess, plus the rather important tail hook!. 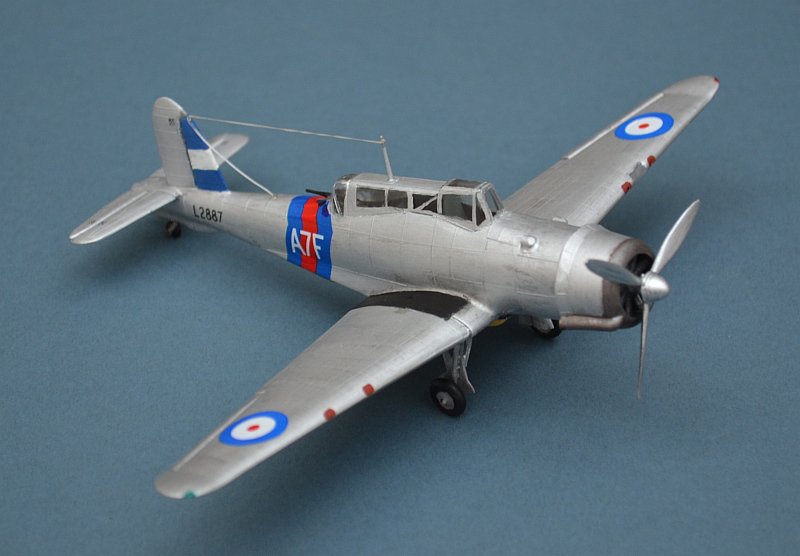 Decals come from the very nice Special Hobby kit, representing a pre-war 803 Sqn aircraft from mid 1939. Skua colours are famously difficult to pin down, given the state of flux that affected the FAA during the early parts of WW2. Nevertheless I have found one picture (on page 9 of the Osprey book RN Aces of WW2) credited as having been taken during the hunt for Graf Spee (some time after the Skua’s first victory), that shows one of 803’s aircraft still in either its original aluminium dope finish or perhaps a light grey. The angle of the photo makes it impossible to see if the carrier codes and colour bands are still there, but I think this is unlikely. 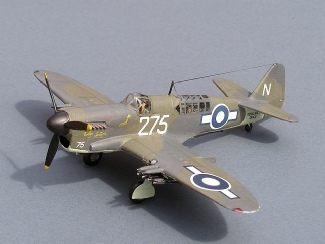 … and with the Skua and Myrt as examples of some of the first and last combat of WW2, my 6 year 70th anniversaries project is finished. Back in the summer of 2009, I started following the day by day events of 70 years ago, initially by following the war diary of my Grandad’s regiment, The 1st Lothians & Borders Yeomanry. Each month since then I have looked at the significant events of that month and tried to identify a model I could build to reflect them. Inevitably, I couldn’t cover everything, but it has given me a real focus and flavour of the context of my model builds, learning about the people who worked on and flew in them and the part that they played in WW2. Although on the face of it, my model builds have been all about the machines, the memory of the many people involved with them has assumed far more significance and reality as the project rolled on. This Seafire flown by Sub Lt G J "Spud" Murphy destroyed 2 A6M5s Zeroes during a raid over Odaki Bay, Japan on 15 Aug 1945. 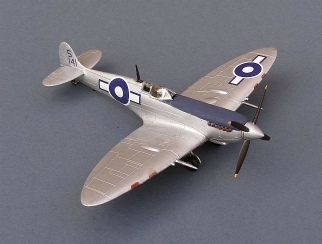 On returning to INDEFATIGABLE, the Seafire pilots learned that a cease fire was to take effect from 0700 the following morning and that 6 long years of war was finally over. The engagement, by Seafires of 887 and 894 Sqns, escorting Avengers of 820 Sqn, was the final British aerial victory of WW2 and resulted in 8 confirmed kills, 3 probables and 4 damaged. Just as the first confirmed victory of the war had fallen to the Fleet Air Arm, so had the last.. 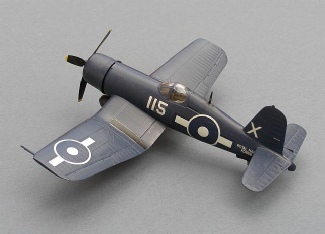 This F4U Corsair aircraft was flown by Canadian Lt Robert Hampton "Hammy" Gray VC, DSC, RCNVR, from HMS FORMIDABLE on August 9th 1945, to lead an attack on Japanese shipping in Onagawa Wan (Bay) in the Island of Honshu, Mainland of Japan. For this action, Lt Gray was posthumously awarded the Victoria Cross, one of only 2 FAA VC recipients during WW2. 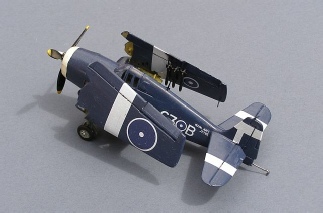 This Fairey Firefly was flown by 1771 Sqn's commanding officer, Lt Cdr R MacWhirter from HMS IMPLACABLE and took part in the famous attacks on the massive Japanese Truk Lagoon Naval Base. 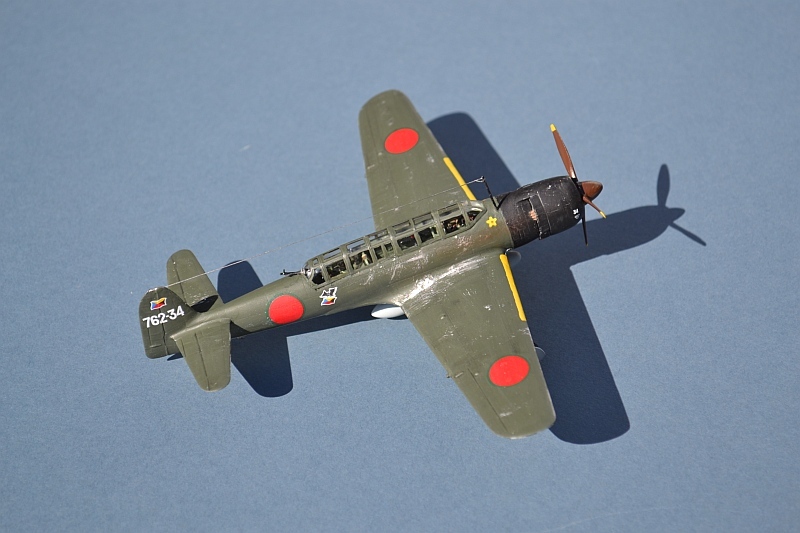 The Firefly Mk 1 entered service in 1943 and remained until the early stages of the Korean War when it was finally replaced by the Firefly Mks 4, 5, 6 and 7. 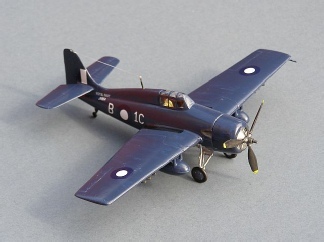 This late model Grumman Wildcat was flown by 882 Sqn from HMS SEARCHER. 882 flew Martlets and Wildcats from 1941 until after VJ Day, taking part in the invasion of Vichy French Madagascar, the North African Landings, operations with the USN in the Coral Sea and Solomon Islands, North Atlantic Convoys, Arctic Convoys, Norwegian Sea (attacks on the Tirpitz), the Mediterranean, Western Desert, US Landings in Southern France, the Aegean Sea and finally in the Indian Ocean. Pretty much everywhere really and a classic example of the global reach and flexibility of Naval Air Power. 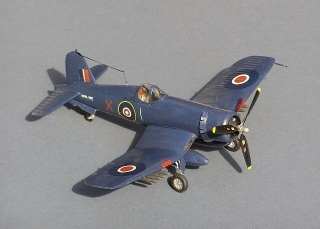 This Grumman Hellcat was flown by 800 Sqn from HMS EMPEROR, including the liberation of Singapore in 1945. Like 882 Sqn above, 800 participated in all theatres of the war, from the initial air combat over the North Sea and the hunt for the Graf Spee in 1939, through to final victory in the Far East in 1945. 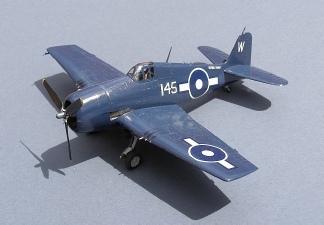 This Grumman Hellcat was flown by 1844 Sqn from HMS INDOMITABLE, as part of the massive British Pacific Fleet formed up at Manus in 1945. This Seafire of the 24th Naval Fighter Wing (formerly 887/894 Sqns) was one of several polished up at the end of the war, in this case flown by the 24th Wing's CO, Lt Cdr "Buster" Hallet RN, DSC & Bar. And finally, a Corsair of 1843 Sqn in HMS ARBITER, escorting the massive Fleet Supply Train of oilers and supply vessels that kept the British Pacific Fleet at sea througout 1945.